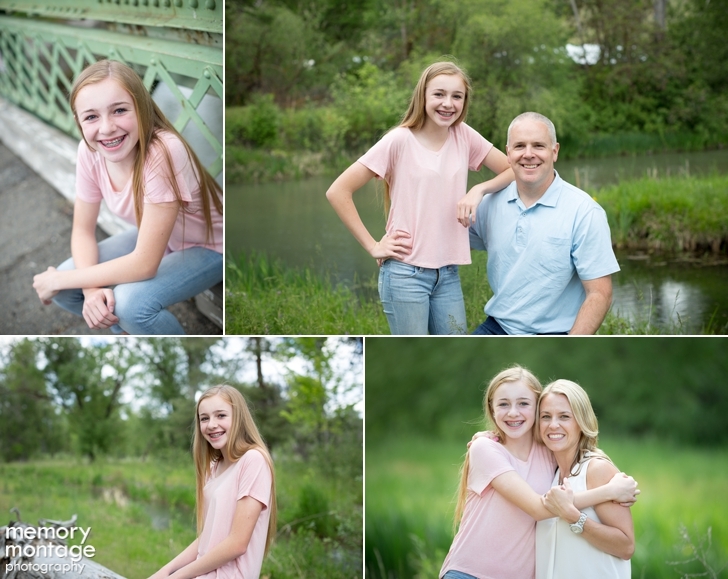 The Sigler family was such a treat to photograph. We took our kids along to the session and made it a fun family day for both families. For the past three years Tavis and I have had the opportunity to photograph these guys... MMP has photographed their engagement session, wedding, and now family! As you can see, they have recently been blessed with a beautiful baby girl named Ruby who will turn one this July. 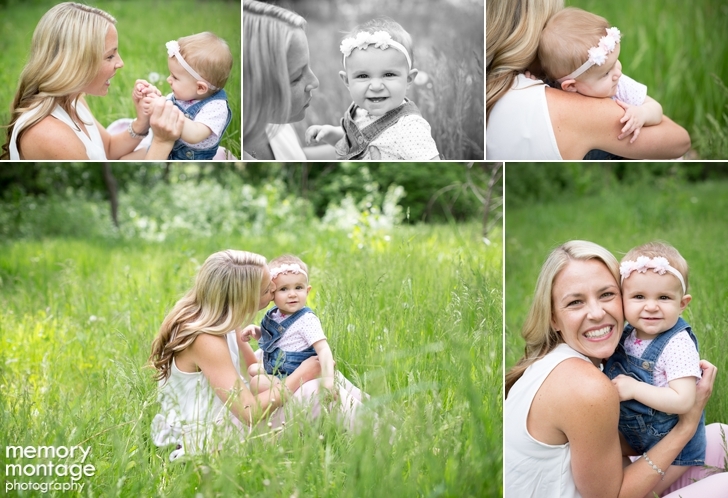 Their oldest daughter, Lily, showed such a sweet and affectionate love toward her baby sister. 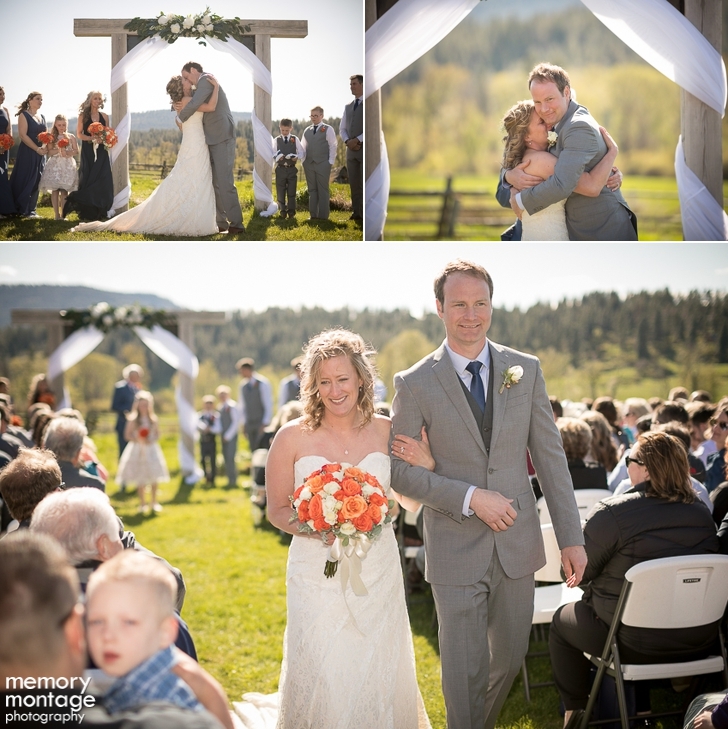 As storytellers, we are constantly striving to capture those perfect moments. Meaning we often find ourselves doing out of the norm activities in order to achieve our goal as stated above. The image of Ruby sitting on a log with a bright smile on has quite the backstory. Her father, Shane, is holding her while ducking from behind. 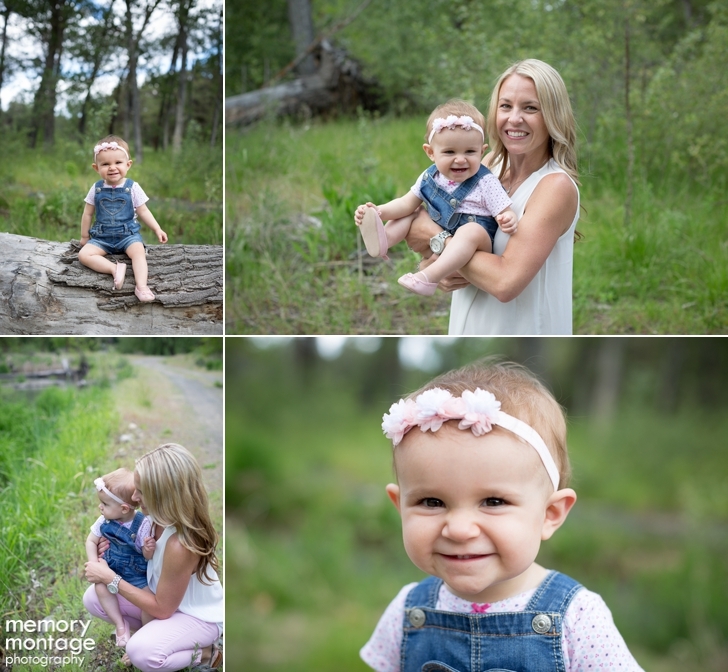 Abby is doing anything she can to get that cute smile from her baby girl. All the while our son, Lincoln, was adventuring around collecting "drum sticks" and Jovie was sleeping nicely in her stroller. 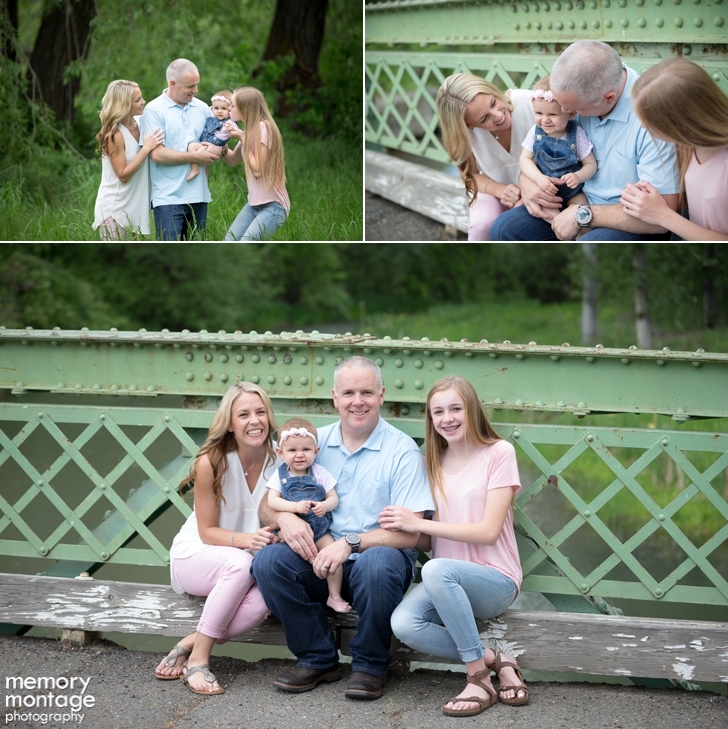 Lincoln was really into this family session, and even went to sit next to Abby at one point! 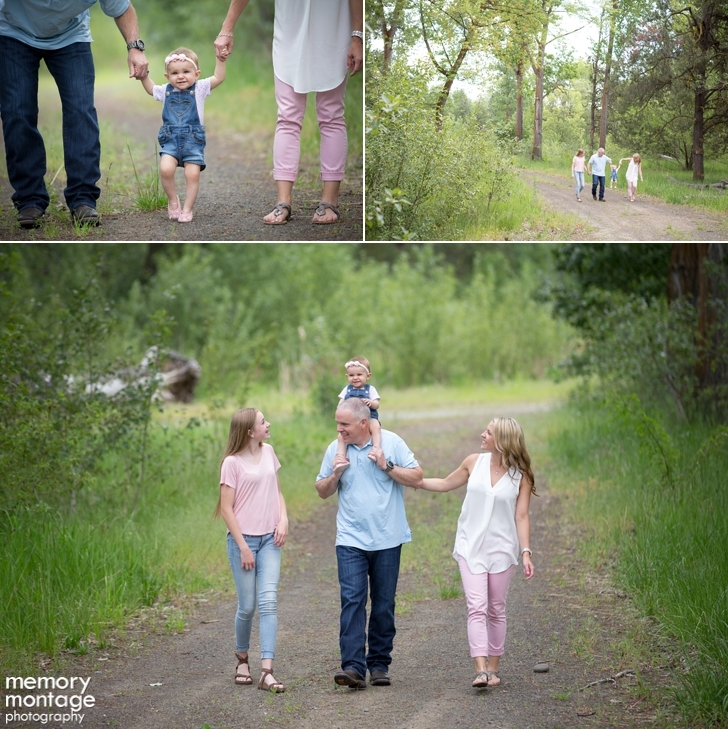 I loved how they had coordinating colors for their family session.... 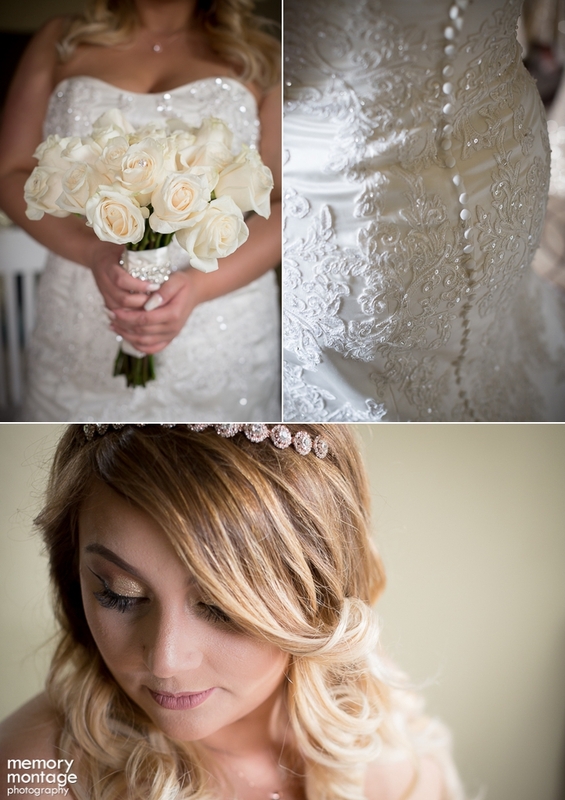 Taking the extra notion to have your family in similar toned colors makes all the difference! 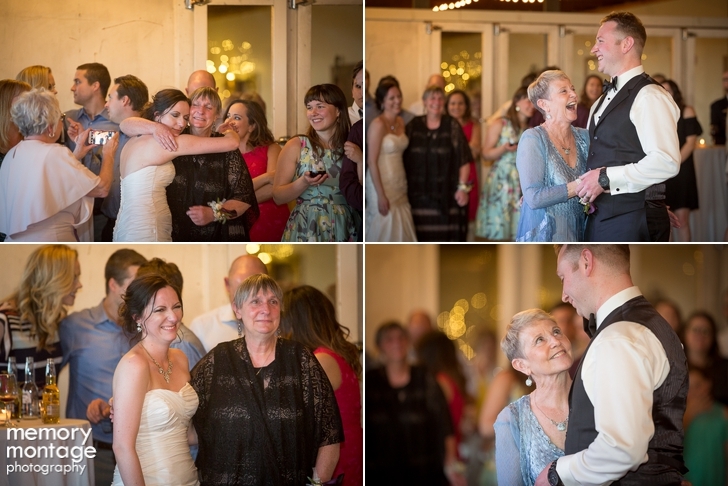 Needless to say, we had a wonderful time with the Sigler family. They are such a genuine and kind spirited family! 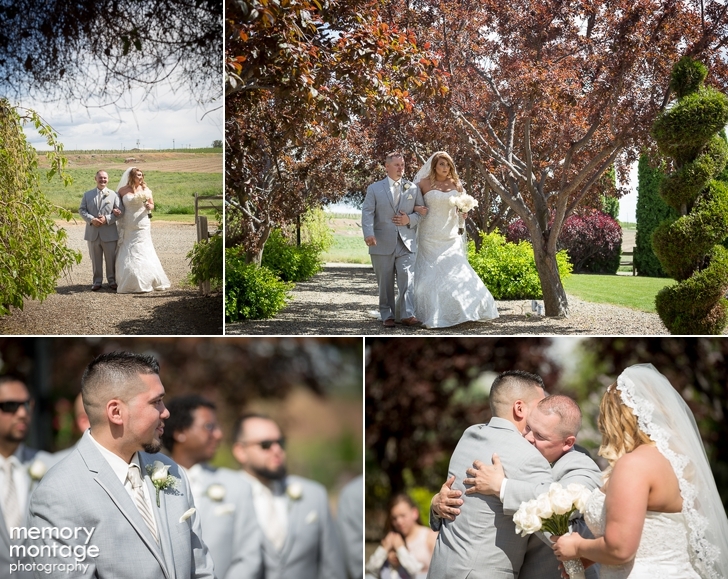 Rhiann and Haley photographed this wedding at Fontaine Estates Winery in Naches on May 6th. 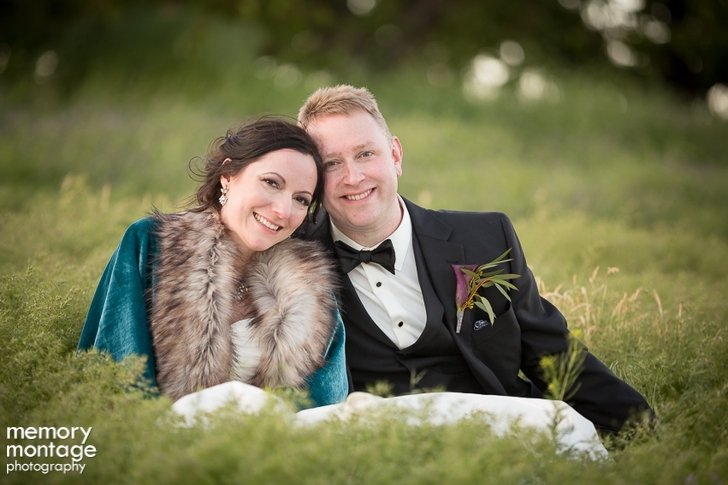 Chantal and Matthew chose to embrace the "Game of Thrones" inspired theme for their wedding! They included red, purple, navy and gold colors to create a rich toned environment. 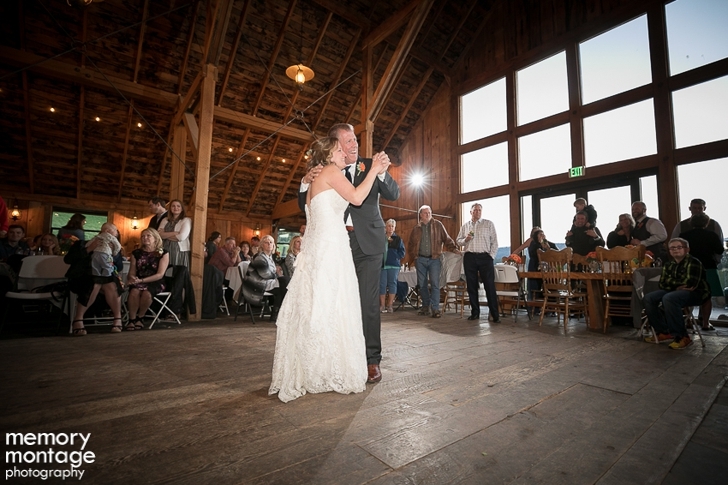 The lively couple had been dating for four years before tying the knot. You can see they did so in a creative fashion! 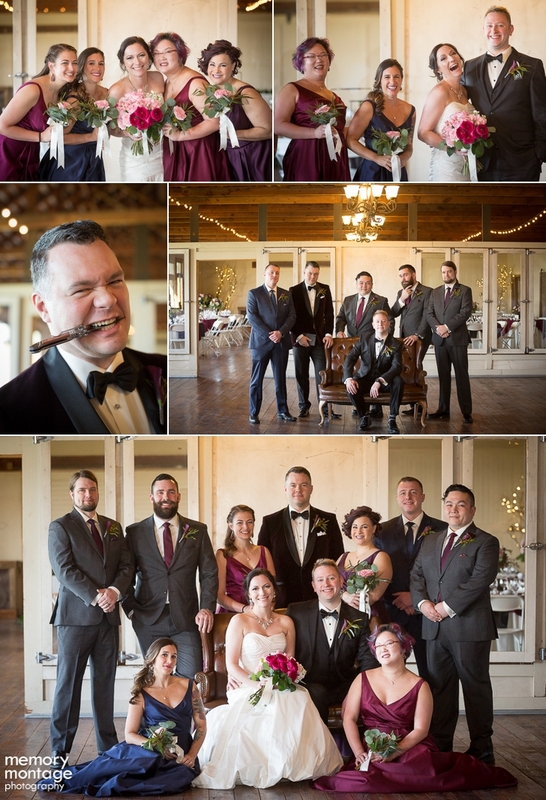 The Groom, Matthew, gifted each of his groomsmen a knife. There's a superstition that giving a knife as a gift can be bad luck, and sever the friendship. To avoid this, they gave each of the groomsmen a coin as well. When Matt presented them each with with their knives, they immediately returned the coins to him as "payment", as a way to avoid any bad luck. Chantal also presented Matt with a watch entirely made of wood! 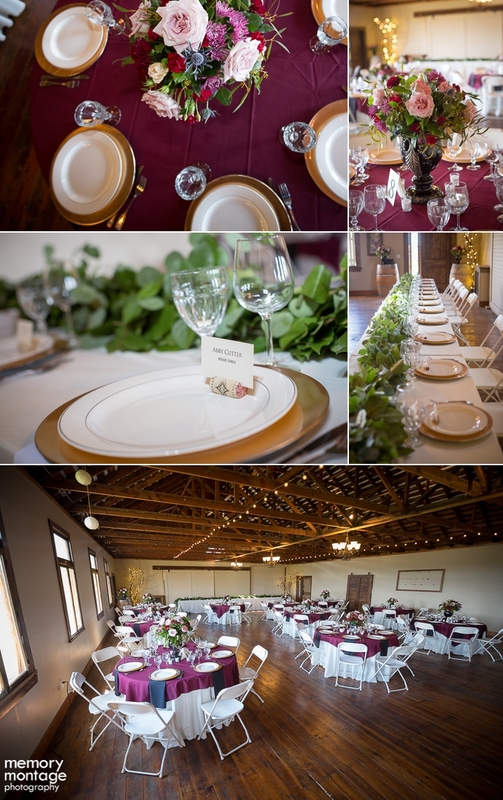 The reception was beautifully decorated by having deep red table linens, gold chargers, and brilliant floral design by Blooming Elegance as the centerpiece. 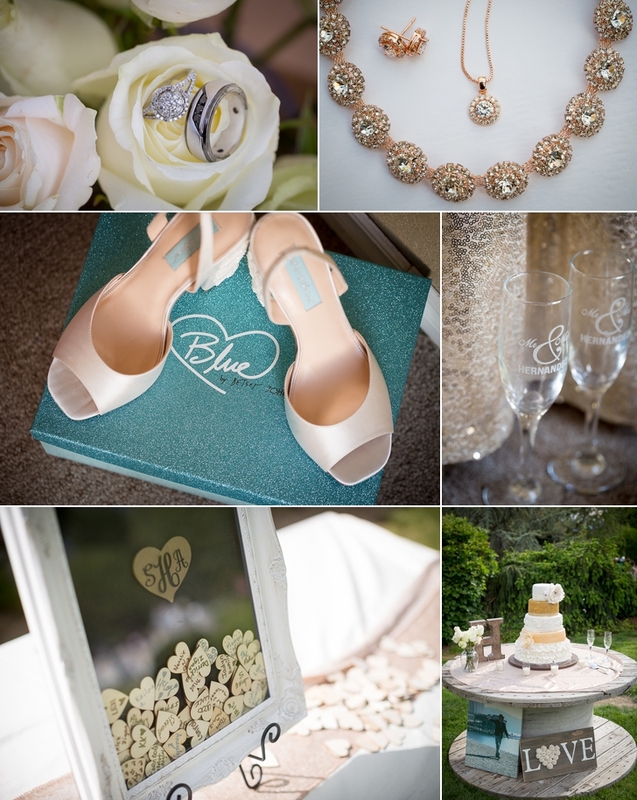 Chantal had stylish Betsy Johnson shoes and stunning jewelry by J Crew to add finishing touches to her bridal look. 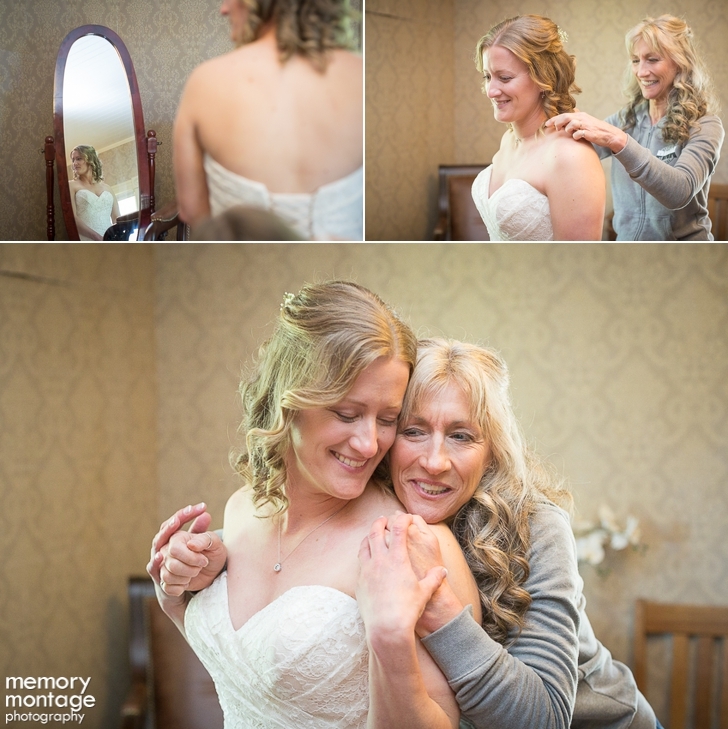 Alexandra's on Second beautifully styled Chantal's hair and makeup. 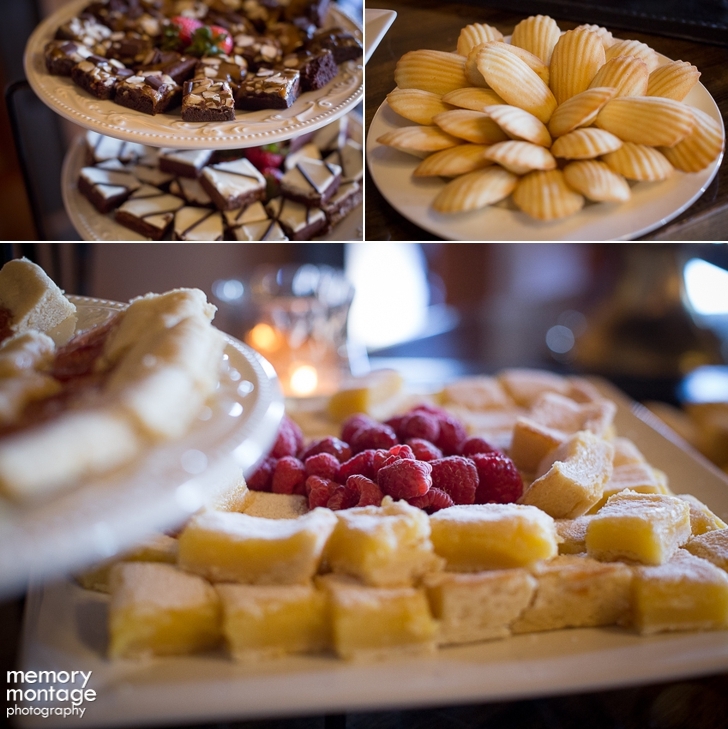 D'Lish Catering provided appetizing food, beef and Cornish hens as the main entree during the reception. 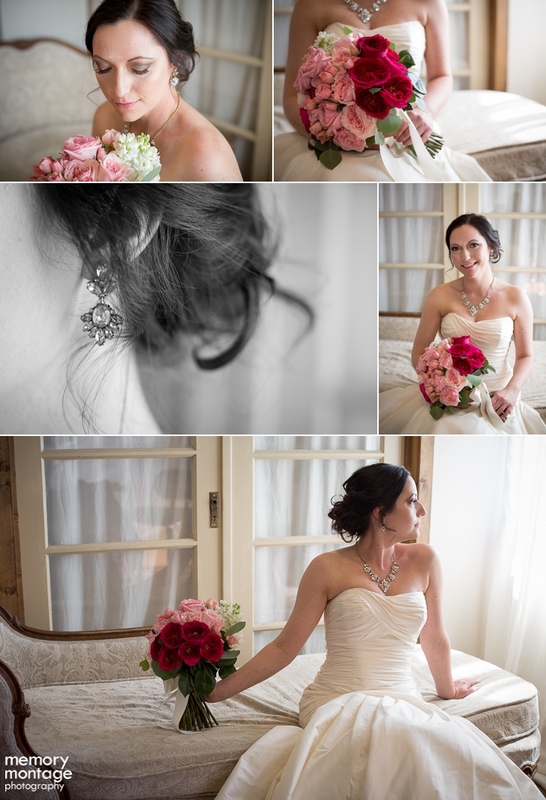 We had such an enjoyable time photographing this wedding! 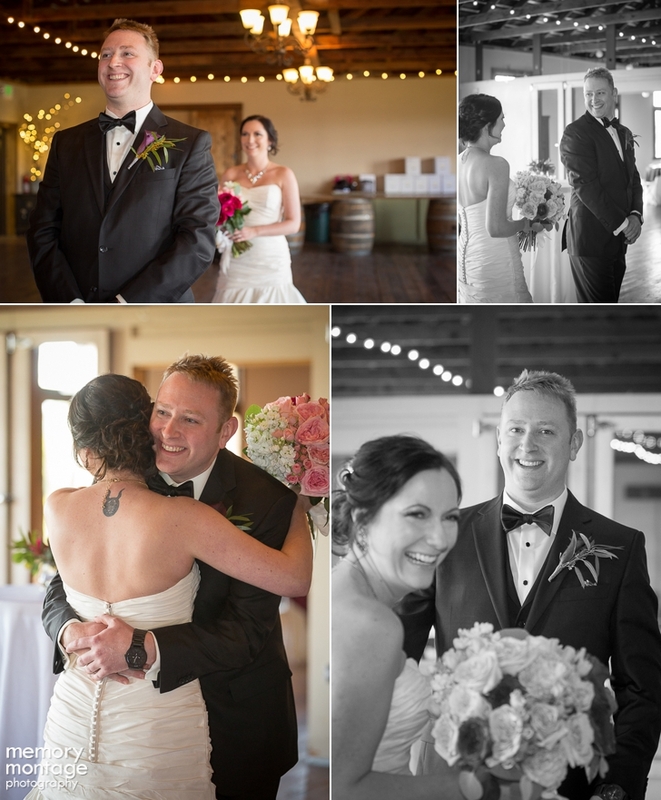 The Bride and Groom were very easy to work with, and we loved getting to know the joyful couple! 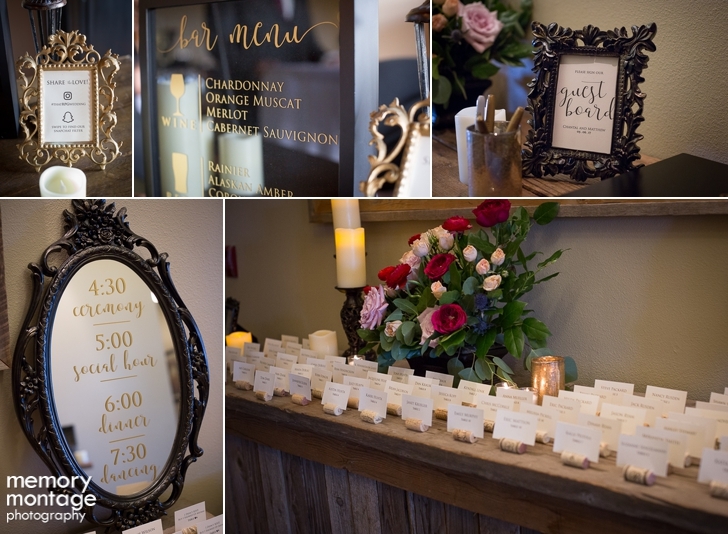 Congratulations Chantal and Matthew! 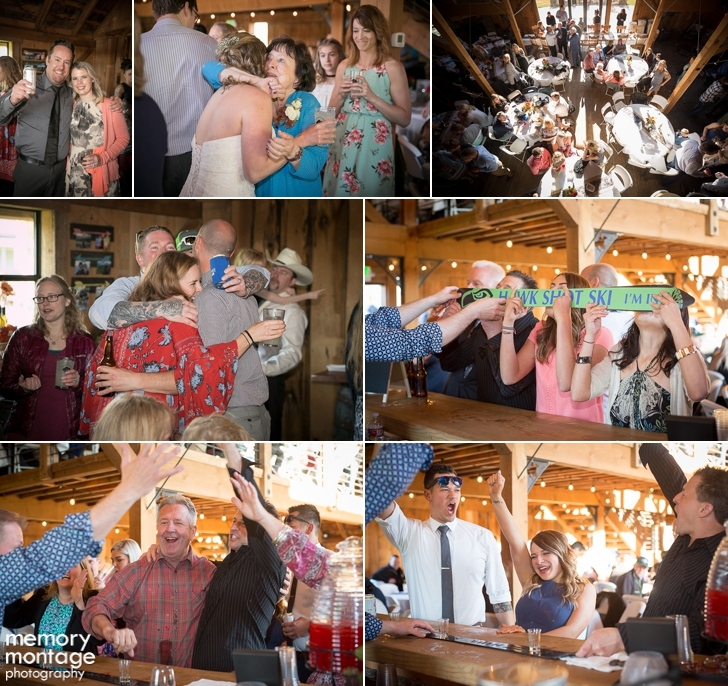 Lachelle and Keith photographed this wedding on May 6th at the Cattle Barn in Cle Elum and the cheerful couple was Bree and Boe. Getting to know them was such a pleasure as the day went on! 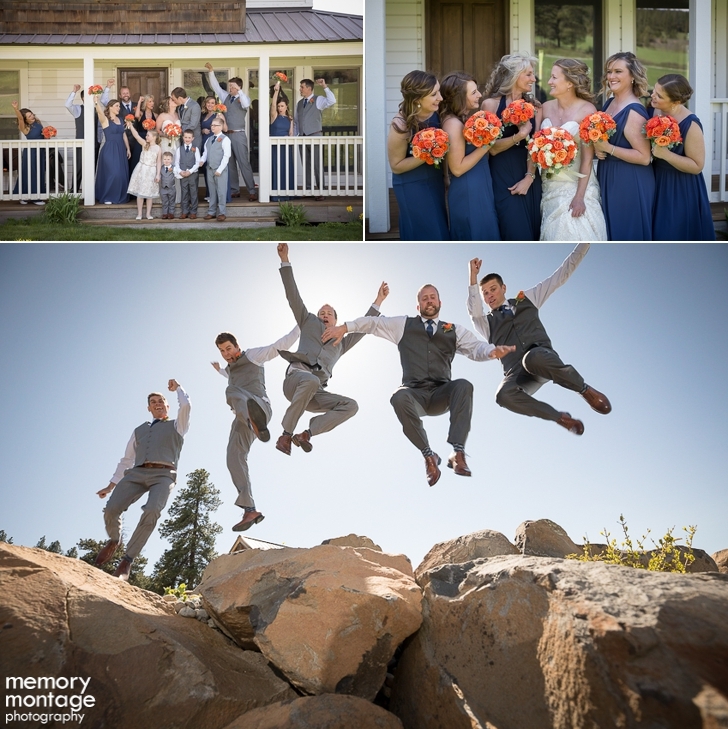 As wedding photographers it is always a unique experience learning about each couple on their wedding day. Seeing the two interact with each other we got a sense of their individual personalities, which made their love for one another stand out in an extraordinary way. 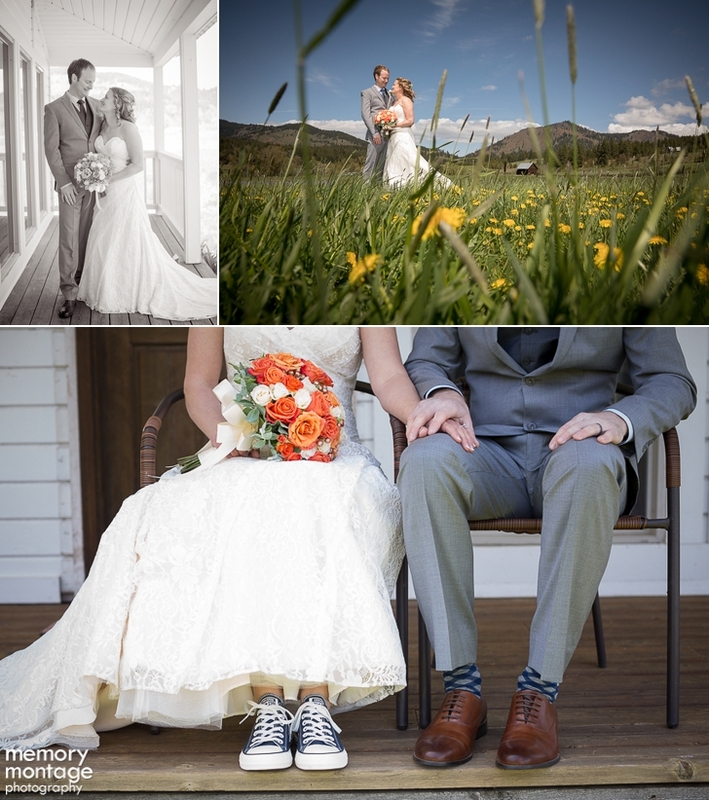 The Bride and Groom live and work on the west side of the mountains. However, growing up Bree spent a lot of time around Cle Elum. 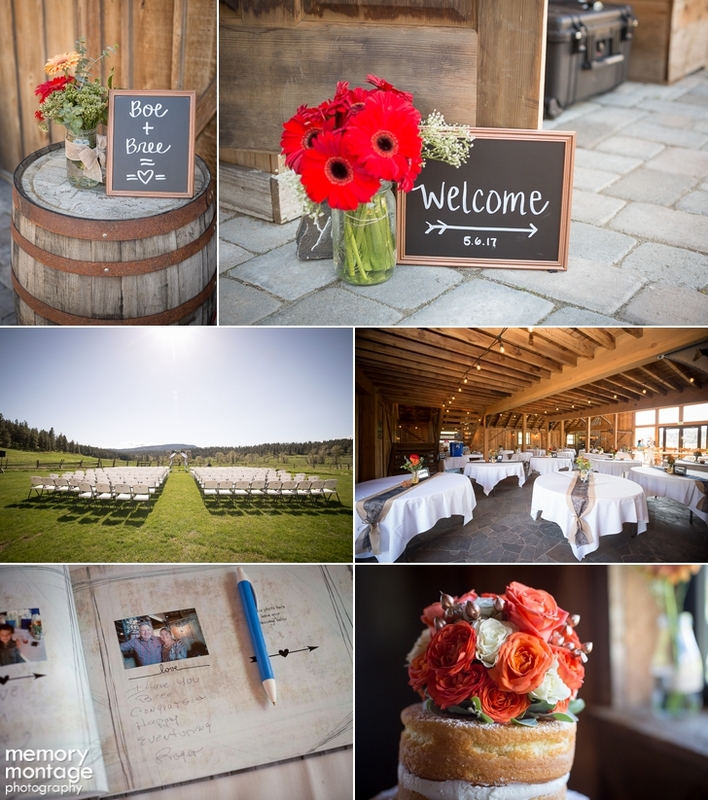 We kept hearing from several guests how adventurous and outdoorsy the couple is. They even go mountain biking together! 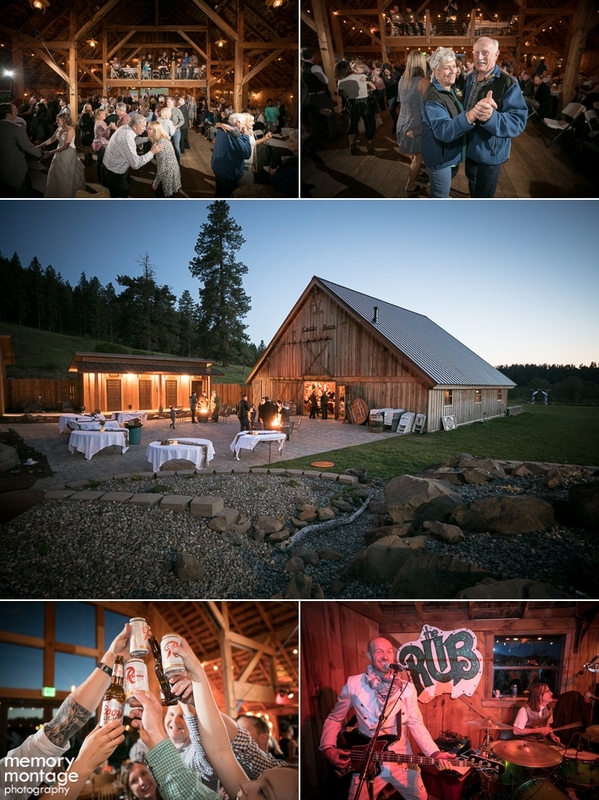 This made Cle Elum an ideal location to join each other in marriage. It was evident that their family and friends were in favor of the ambitious couple. 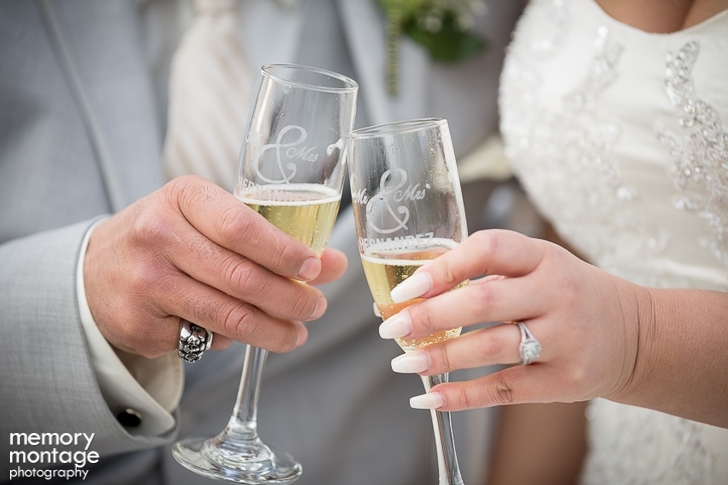 While toasts were being made to the couple Bree was continually noted as a loyal and true friend. Boe was said to be an avid adventurer several times. The day was filled with ceaseless commentary on how perfect the two are together! 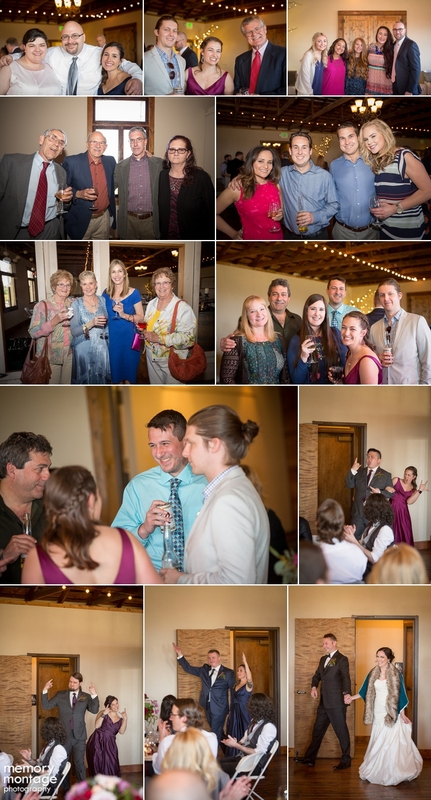 We were touched by how heartfelt the toasts were. Even among the emotional toasts, let's not forget the toasts that led to an explosion of laughter! During the morning getting ready, we heard comments of Bree being a very fast driver. Come to find out, Bree is a Trooper! 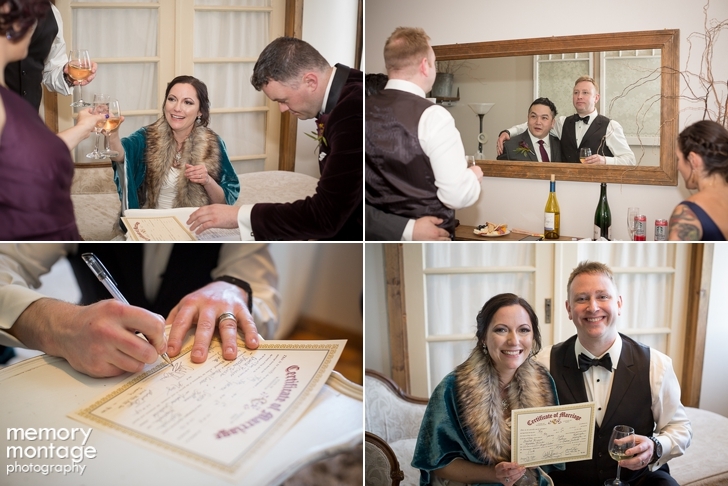 While she was signing the marriage license Boe said, "This feels a little like I am getting a ticket.". 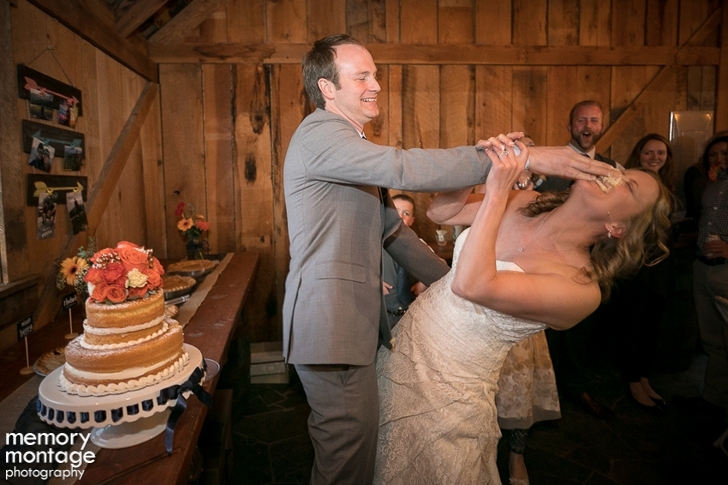 The best man replied, "But you can't get out of this one!". 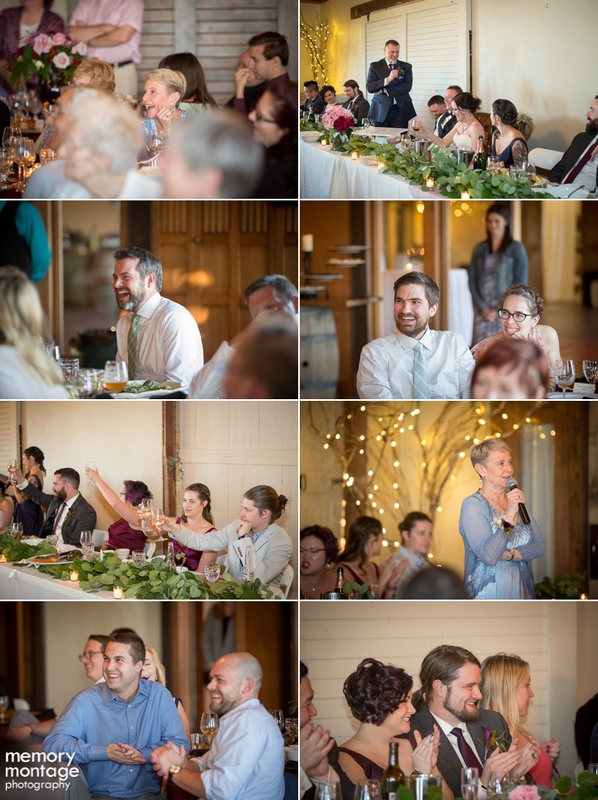 Everyone had a good laugh! 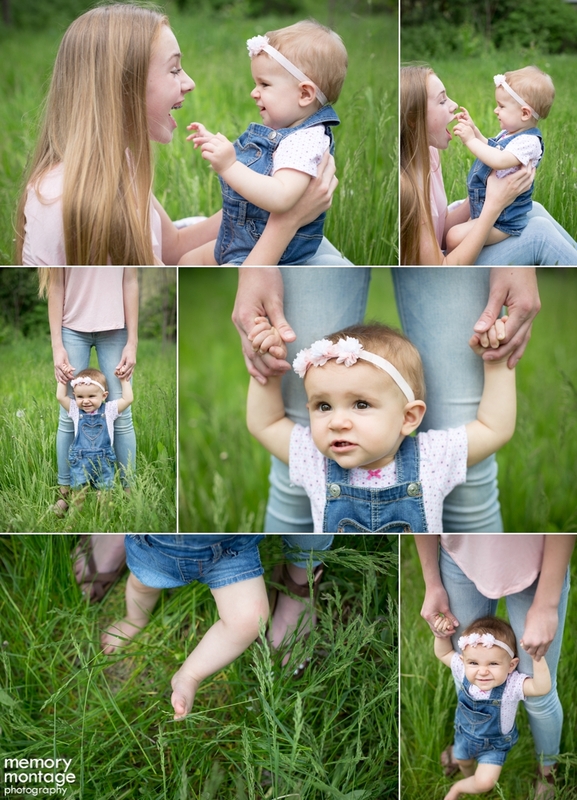 Bree and Boe, you two were exceptionally fun, and your day was full of joyful laughter. 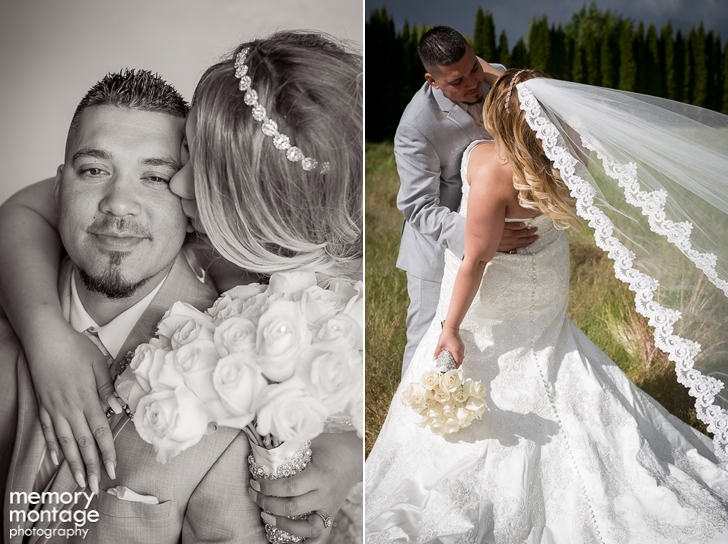 What a pleasure to photograph your wedding. We wish you many years of adventures together! 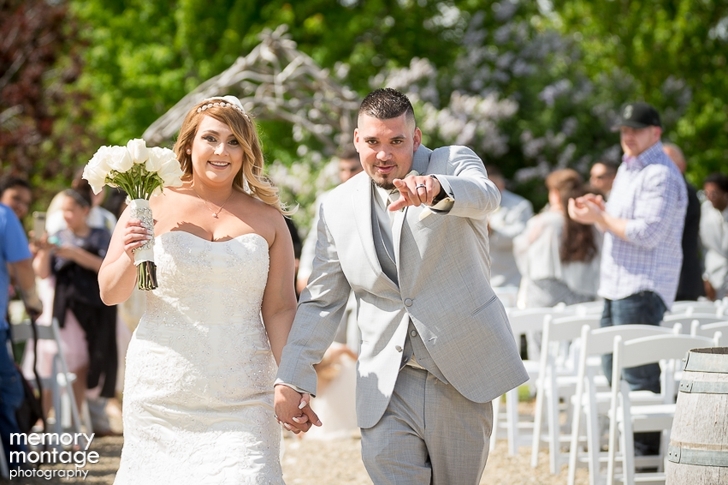 Congratulations Bree and Boe! 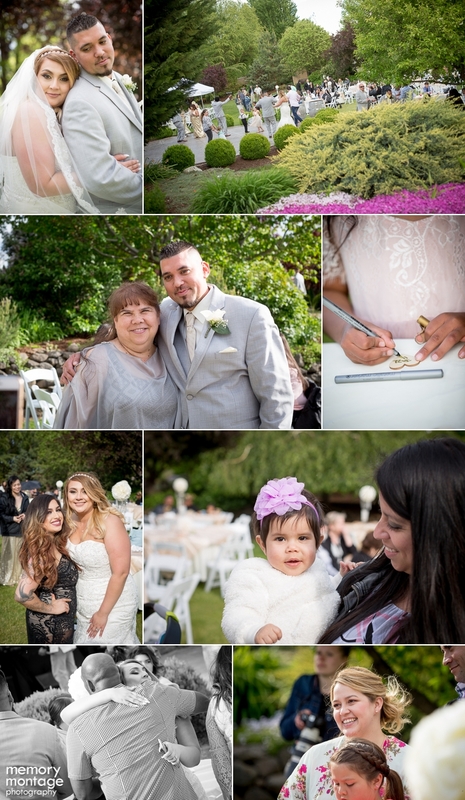 Andrea and Shawn were married at Le Jardin in Zillah on May 13th after being together over 10 years! 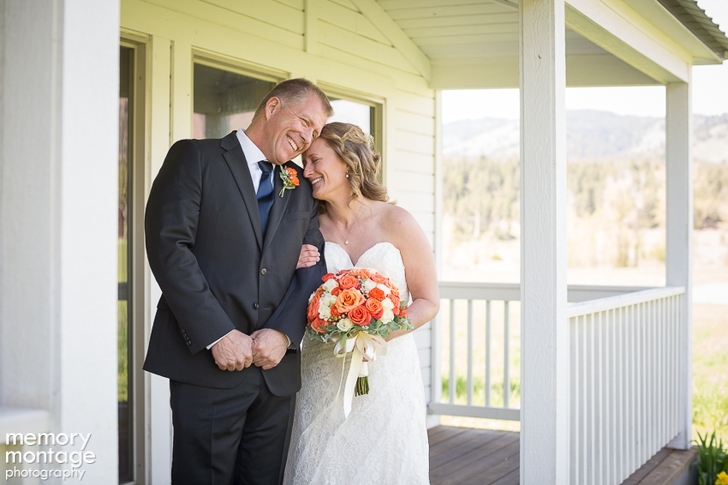 We loved being a part of their wedding. We had a great chance to see all their family and friends work together in a potentially stressful situation. 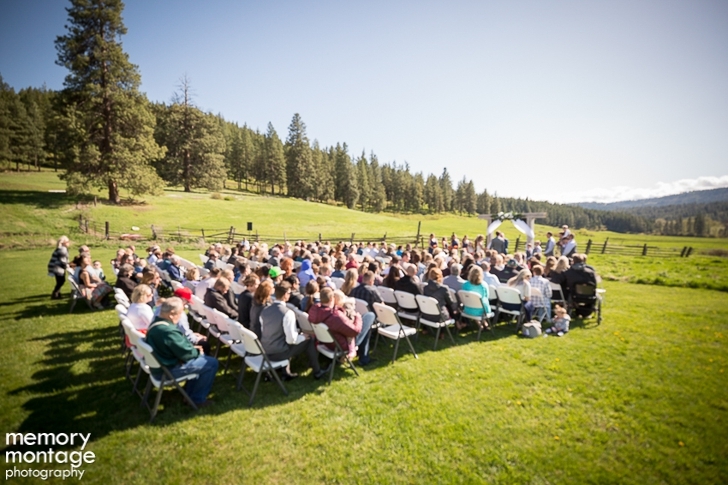 Zillah was struck with a power outage until six o'clock on the evening of the wedding. 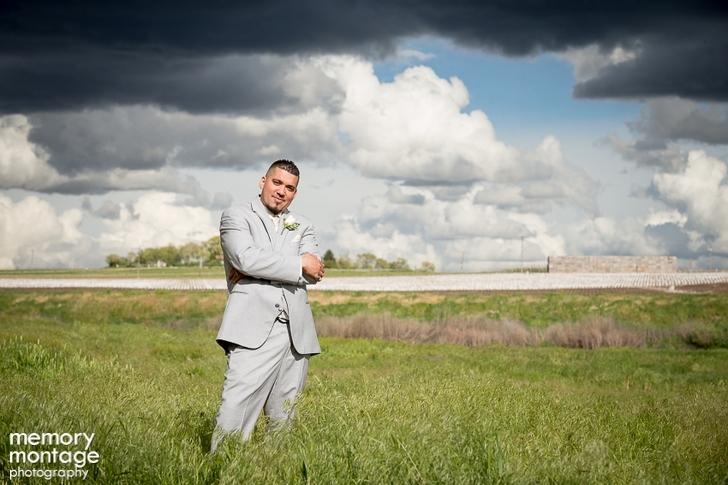 Although the weather was all over the place, it made for a crazy dynamic cloud during the couples portraits! The day was full of generators. Yes, that is correct...generators! 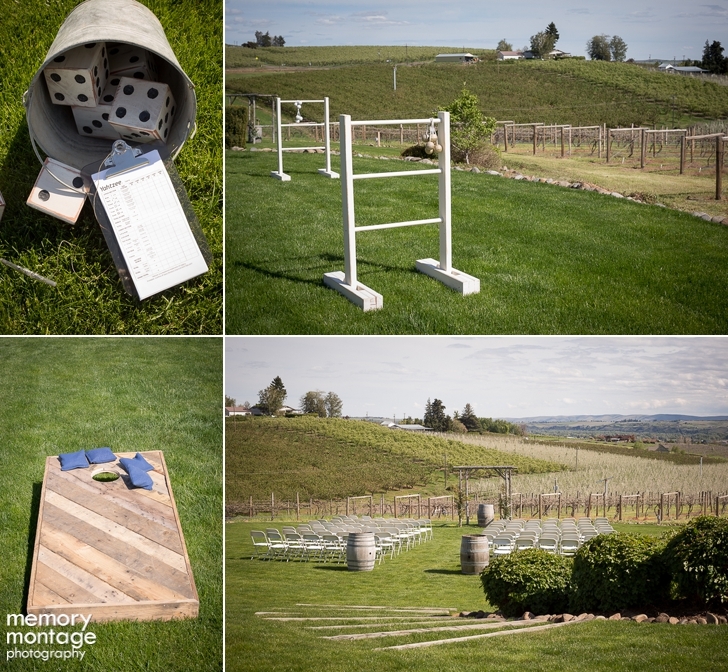 The bride and bridesmaids had to get ready with one curling iron via a generator. I would say THAT is team work at its finest! Playing music and keeping drinks cold was a challenge, but everyone pulled together and made it work. 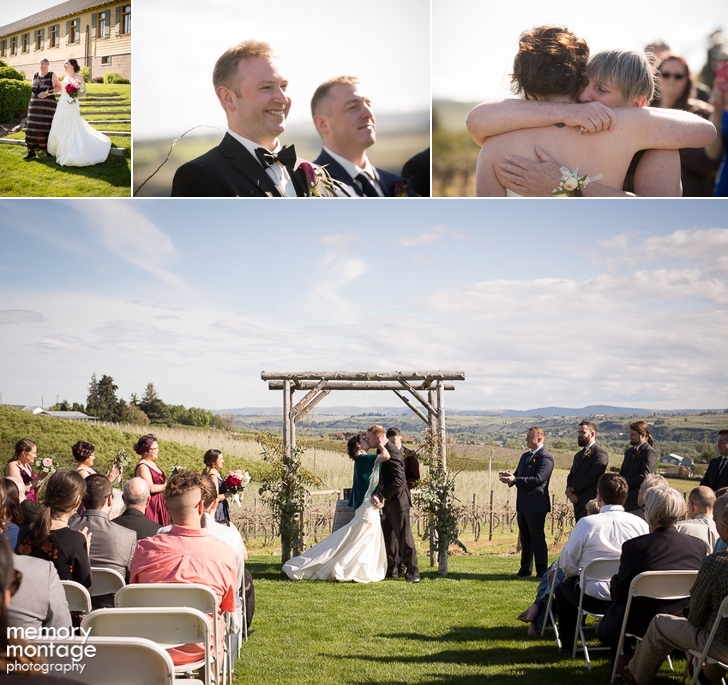 Andrea and Shawn remained patient throughout the day, and still enjoyed every moment. Nothing was going to stop them from having the time of their lives! 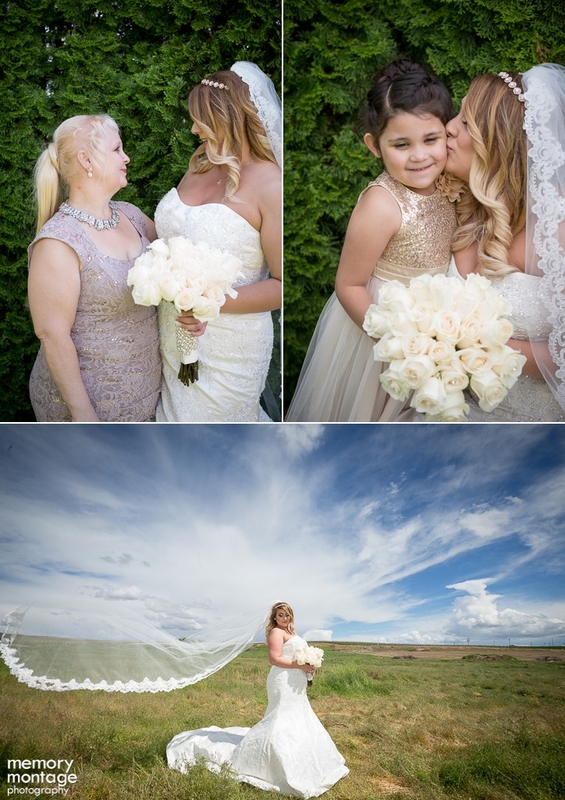 And what a unique wedding day story right?? 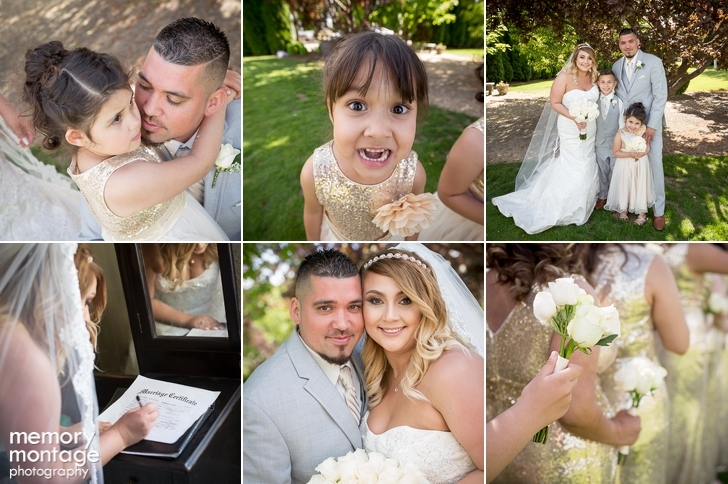 As always, we loved working with Unique Clicks photobooth at their wedding. 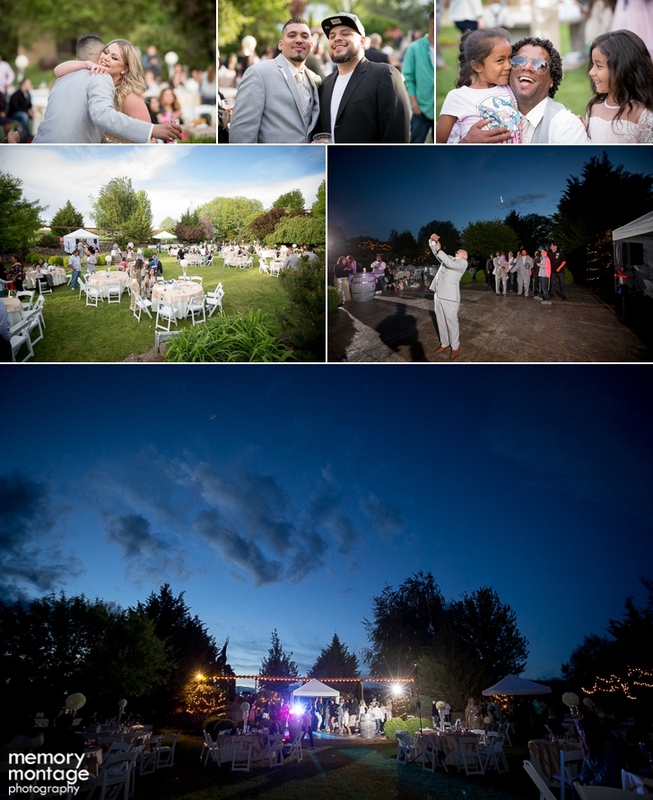 The photos below are some of the highlights of the day. 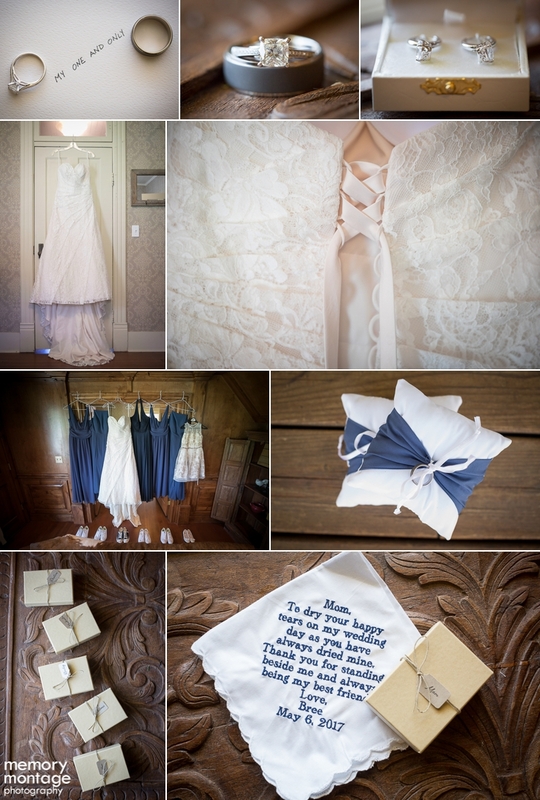 Click HERE to view ALL of the edited wedding images - available 4 weeks after the wedding!